Parentline’s been busy lately so you might have heard of it. Parenting is the most challenging job there is. Yes, it’s a stressful job. The expectations are high and there’s no shortage of critics. It’s the type of job for which most people have no training. Most people have no idea what to expect before parenthood. Some people might have chosen the child care occupation with great expectations. But after some time, they discover that it’s very different from what they’d expected. The type of stress encountered by a parent or a childcare worker may be overwhelming. That’s when they need a kind, non-judgmental, listening ear. That’s where Parentline can help. It’s counseling when you need it. Parentline offers counseling by phone or web chat. It serves parents and childcare workers who feel overwhelmed. It’s based in Queensland and the Northern Territory. It’s an initiative to reach out to those who feel challenged by caring for children. What Can Parentline Do For You? Parenting is a job which can give you the greatest high when things are going well. But when things go wrong, nothing can make you feel so isolated and misunderstood. When you think you’ve got everything figured out, the child or children move into another phase of growth. And you’re back to square one. You may have had experience raising a child in an earlier phase of life. But that doesn’t mean things will to go well next time. Sometimes, a child can do something or need something that will challenge you. At times like this, an understanding friend can be an invaluable support. But our friends often live far away. We no longer live in close-knit, multi-generational families. There are no older people to step in and help, as there might have been in the past. Or there may be, but sometimes, people can be less than helpful. They may even be critical. So it’s important to have someone there when you need to reach out. That’s when you’ll feel the need for telephone counseling or even web chat counseling. The phone lines are open from 8am to 10pm every single day. The web chat service is available on Tuesdays and Thursdays from 7pm to 9pm. From morning to night, there’s a qualified counselor on the other end of the line. A counselor ready listen to you, console you, support you and even cheer you on. How Can You Support Parentline? 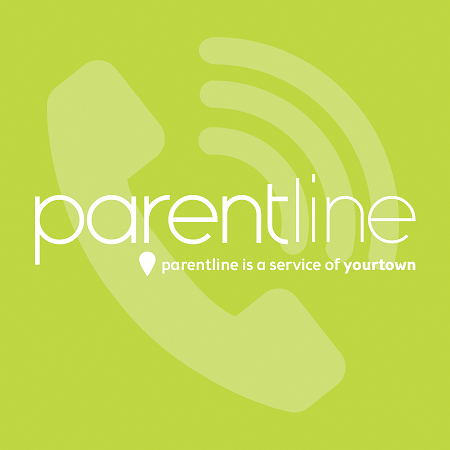 Parentline is a service provided by yourtown, a charitable organization. This organization supports families. They counsel parents and children. They guide youngsters in the area of vocational training. When you approach Parentline for help, they won’t ask for a dollar. This is not the time to discuss money. It’s time to be there for you, to give you the support and help you need. But Parentline needs support too. Keeping this center open fourteen hours a day requires financial support. That’s why you might like to consider adding yourtown to your list of deserving charities. There are many ways to help. You can donate and encourage others to do the same. You can make a bequest in your will. You can run a fundraiser. You can buy a ticket in the yourtown draw. Or if you have a business, large or small, you might like to consider giving corporate support. Your company can partner with yourtown and make a difference. If you need to talk to Parentline, dial 1300 30 1300. The lines are open every day between 8am and 10pm. Find their website here https://www.parentline.com.au. You can email at this link. This will give you the email address. It also gives all the information you need about email counseling. Many parents and childcare workers find it helpful. Don’t forget, you can also chat online between 7pm and 9pm on Tuesdays and Thursdays at this link. For non-counseling contact, you can use the contact form on the website. Here’s the link for that. The administrative phone numbers are also found on this page, for direct contact. If you feel like reaching out, don’t hesitate to make contact.